If you are looking for a speaker that has a blend of old looks, that can add color to your living room but also provide high tech, feature rich speaker experiences, look no further. 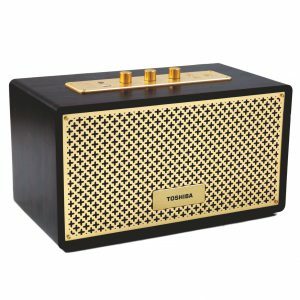 Toshiba presents TY-WSP67 Wireless Bluetooth Speaker that aligns modern controls on to a vintage architecture without compromising on audio quality. 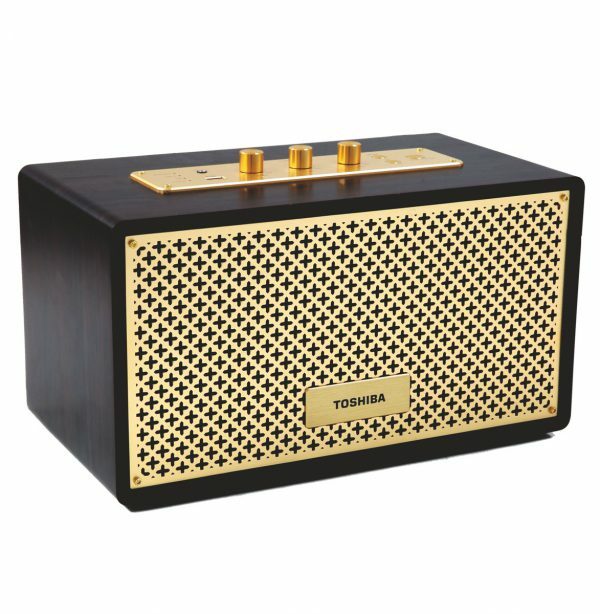 Built on a classic, premium and vintage design the speaker has a polished gold-tone metal look. It perfectly blends into any space to add style. Finished with polished, gold colored 3 interaction knobs, that give you control over bass, treble, and volume. The top face of the speaker carries all the knobs.TY-WSP67 is made with high-quality plastic, vinyl, and metal. You do not have to worry about connecting wires any more. Connect to various devices with Bluetooth version 3.0 EDR Class 2, with faster data transmission. TY-WSP67 syncs to most devices quite quickly for easy listening. They give you approximately 10m or 33 feet of range while playing music. Apart from Bluetooth there are two more modes available to connect to source in TY-WSP67 AUX-IN (3.5mm) and USB. There are different LED lights to indicate source and power status. Blue (Bluetooth), Green (AUX) and Orange (USB). Standby LED is in red color. The speaker delivers 2.1 channel stereo sound with powerful 80W amplification (2×20W 40W Sub-woofer). 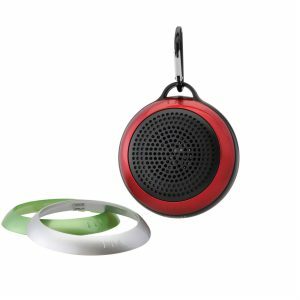 These features deliver consistent and balanced sound performance even in a noisy environment. The bass is solid without distortion, mid-range is sharp and soothing to ear and the highs give a clear, crackle free sound. Enjoy all your favorite playlists with this feature-packed system that boasts enhanced clarity, sharpness, and power.